So you want to learn about latex? Latex is one of the older and also newer types of mattresses. Latex has been used in mattresses since the 1920’s but within the last decade have made a huge resurgence. 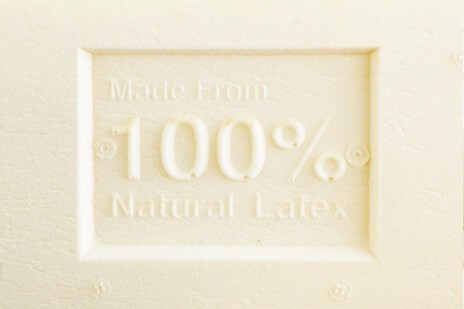 Latex has the reputation of being one of the most durable and supportive mattress types around. Long before memory foam became popular latex was the gold standard for foam mattresses. So what exactly is latex? 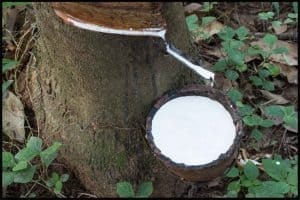 Latex is the white milky substance very similar to sap, that comes from the rubber tree which is harvested very similarly to the way maple syrup is taken from trees. The great thing is the trees are not harmed in any way. A thin layer of the bark is removed and the trees are “tapped” and the milky substance is dripped in buckets and barrels and shipped across the world to large rubber factories to be processed. A typical rubber tree produces enough sap to make about four pounds of rubber per year. Contrary to popular belief, latex is really not foam at all, rather it is a different form of vulcanized rubber that has gone through a different process. Latex was first used for mattresses and was invented in the 1920’s by a Scottish man named John Boyd Dunlop. It was said that the British Royal family was the first to use latex mattresses. The latex process was refined and three brothers Leon, Joseph, and Ansil Talalay invented a process of latex mattresses that is more consistent and durable than the older Dunlop process by vacuuming all the air out of the latex mold and freezing it which stabilizes the cell structure. During WWII, latex and the entire rubber industry took a huge hit because the Japanese controlled approximately 90% of the rubber tree plantations. After WWII Latex mattresses made a huge comeback in the 1950’s and 60’s and became the preferred choice for mattresses among U.S households. However, plastics start gaining in popularity and Polyurethane foam became the material of choice by mattress manufacturers because it is cheaper, lighter, and much more easier to produce than latex. As polyurethane became more prevalent, mattress longevity declined and consumers began going through mattresses at a much higher rate, replacing their mattresses every 5-8 years where before they were only having to replace their mattress every 15-30 years with latex. Today latex is once again making a resurgence, and in this section you will learn all you need to know about latex. You will learn the different types of latex, which types are better for different circumstances. The pro’s and cons of latex. And also if latex is even right for you. 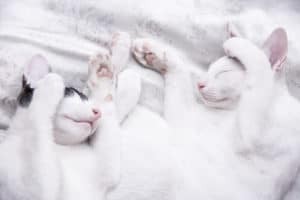 Sleep… we all know it’s important and it’s something we all wish we can have more of but have you ever wondered why is it important and why do we want more of it? Russell Foster is a circadian neuroscientist. 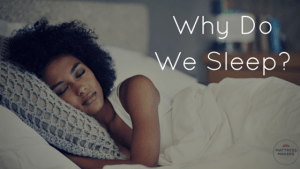 In this video he answers the question “Why do we sleep?” 3 key points he … Read moreWhy Do We Sleep? So, you’ve been sleeping peacefully in that carefully picked out mattress from a San Diego mattress store? But, do you know how you sleep? Are you a log or a yearner? Do these positions sound made up? Don’t worry, leading mattressologists and horoscope scientists have collaborated to produce the most accurate read on what your … Read moreIs Your Sleeping Position Saying More Than you Think?